Tailor-made for natural wood floors, the ultra-lightweight Ewbank polish and buff cleaner uses powered brushes and microfibre pads that rotate on two spinning discs to scrub, clean, wax and polish all your wooden floors for you. Use it with our floor cleaner (available separately) and there's no need for water, keeping your precious wood floor totally clean and pristine. 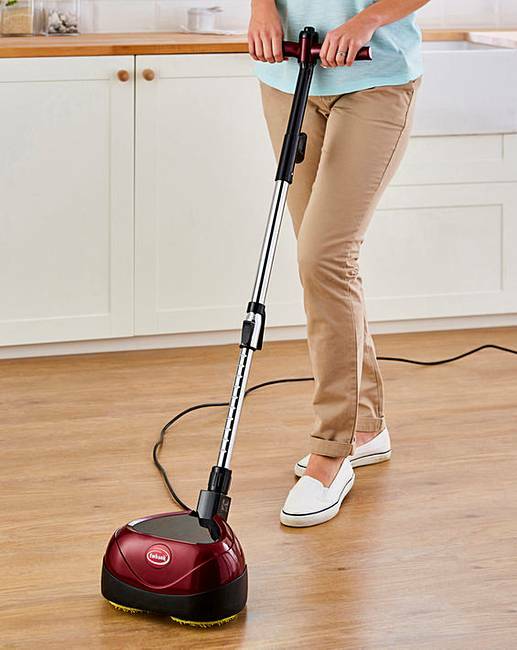 Powered by a quiet, 160W motor rotating at 2,500rpm, the machine cleans through an 8in wide path and has a long-reach, 23ft lead with convenient cable storage plus an adustable height handle for comfort.